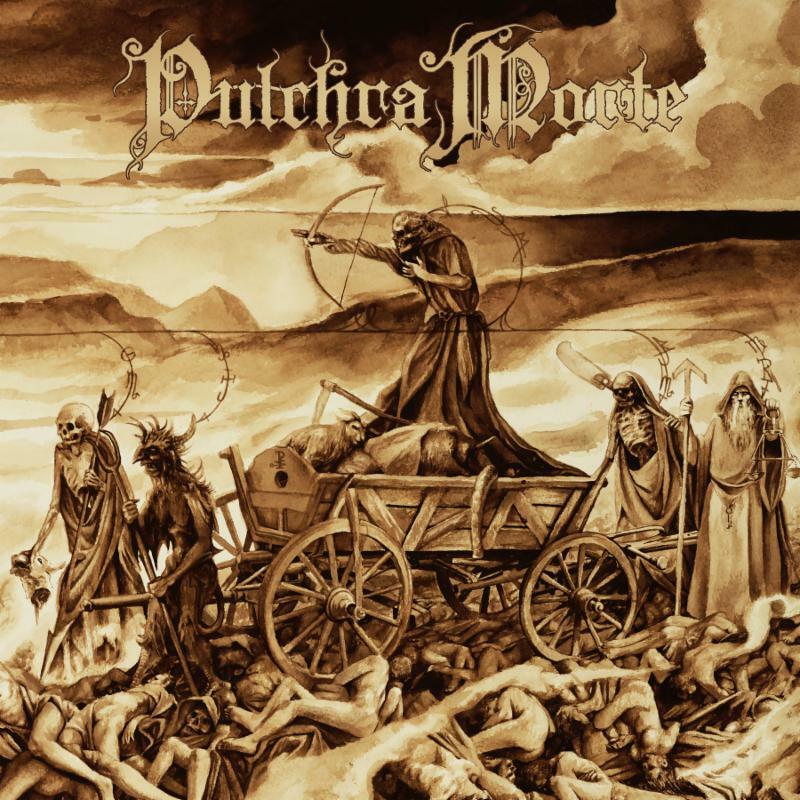 This Friday, PULCHRA MORTE — featuring within its ranks current and former members of Wolvhammer, Eulogy, Harkonin, Withered, and more — will unleash their Divina Autem Et Aniles debut upon the masses. Captured by PULCHRA MORTE guitarist/renowned producer/engineer Jarrett Pritchard (1349, Goatwhore, Wolvhammer, Gruesome, Exhumed, Brutality, etc.) at his own New Constellation Studios in Orlando, Florida and mastered by Chris Common (Tribulation, Primordial, Exhumed, Gruesome), the record features the vocal talents of former Eulogy co-conspirator Heather Dykstra and cellist Naarah Strokosch as well as additional backing vocals by Tor Stavenes, AKA Seidemann of 1349 and Svart Lotus. It all comes swathed in the arresting cover art of Jordan Barlow (Goatwhore, Haarp, Psychon Vex). Wrote Decibel Magazine in an early investigation of the record, “Breaking from expectation’s mold, the quintet eschews fast and furious death metal for the sort of elegant doom/death first oozed out by the Peaceville three. ← Previous post:EYEHATEGOD Announces 4 Strikes… From The Elementary To The Penitentiary Tour With The Obsessed And Antiseen, Japan Shows And More!